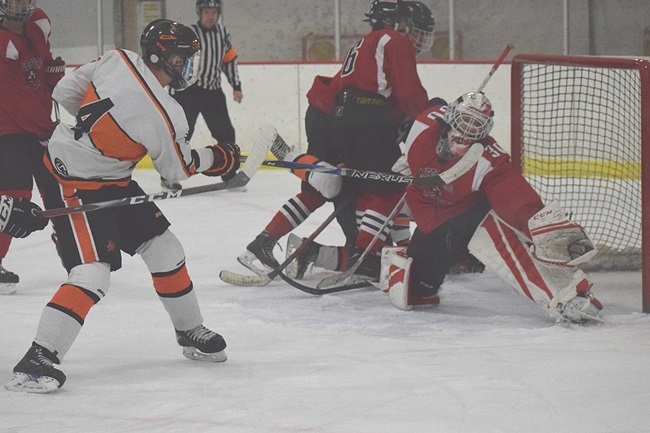 The WIAA released the brackets and seeds for the 2019 Boys and Girls Hockey Playoffs. Starting with the Boys, the Marshfield Tigers (15-6, 6-3 WVC) received a 5 seed and will travel to Chippewa Falls to take on the Cardinals on February 14th. Chippewa Falls (13-7-1, 7-3 Big Rivers) beat Marshfield back to open the season 5-1. The winner of that game will most likely play the one seed Eau Claire North on Feb 19. Stevens Point (7-2-2, 7-1-0 WVC) got a 3 seed and will host the winner of the Merrill/Wausau East and Rhinelander/Three Lakes game on Feb 14th. The winner of that game will most likely play two seed Northland Pines (19-2-0, 10-0-0 Great Northern). Wisconsin Rapids Lincoln and DC Everest will face off in a 4-5 matchup, DC Everest (7-11-1, 3-5 WVC) got the 4 seed and will host the five seed Wisconsin Rapids (8-12-0, 1-7-0 WVC) on February 14th. The winner will most likely play at #1 seed Wausau West. In girls hockey, the Wisconsin Valley Union (8-9-2, 3-5 Eastern Shores) made up of players from 10 schools including Marshfield, Stevens Point, Wisconsin Rapids, and Waupaca received the 2 seed and will host #7 seed Medford/Rib Lake (2-15, 0-6 Great Northern) on Feb. 14th. The winner will face #6 Seed Rhinelander/Three Lakes Feb 19th, #3 Seed Lakeland has forfeited the Regional Final game. The full WIAA Hockey brackets can be found at wiaawi.org.